Hoping to squeeze every last cent from the defunct citrus-flavored filesharing service, the recording industry has filed another lawsuit against LimeWire. This time, an independent music trade group by the name of Merlin has targeted LimeWire founder Mark Gorton to collect a long-promised settlement. The organization, which represents some 12,000 indie music labels and artists, claims that it issued LimeWire a cease and desist back in September 2008, but agreed not to pursue the matter in court despite believing that LimeWire owed the organization millions in damages for copyright infringement. Apparently, LimeWire agreed that if it reached a settlement with the major labels (i.e. Universal, Sony, Warner and EMI), the peer-to-peer network would extend that same offer to Merlin. Well, LimeWire has since lost its case against the industry titans, but it has yet to fulfill its agreement with Merlin. Last May, US District Judge Kimba Wood found LimeWire guilty of copyright infringement, induced copyright infringement, and unfair competition in a lengthy court battle against the RIAA. Just over two months ago, LimeWire and the RIAA finally put the suit to rest with a $105 million settlement. In a briefer yearlong case that was resolved this March, the NMPA (representing eight major music publishers including the aforementioned firms) reached an undisclosed settlement with LimeWire. 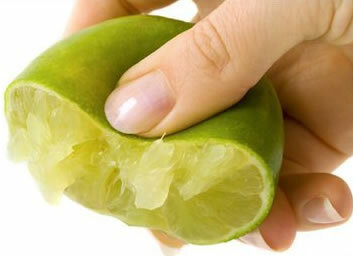 According to industry sources, LimeWire agreed to cough up $12 million, but this is unconfirmed. "Merlin confirms it has filed a breach of contract claim against Lime Wire in the US District Court...for damages believed to be in excess of $5m," the company said. When confronted, LimeWire supposedly clenched its purse strings and refused to pony up. No court date has been scheduled yet.